We are not undersold on like for like roll-up garage doors. 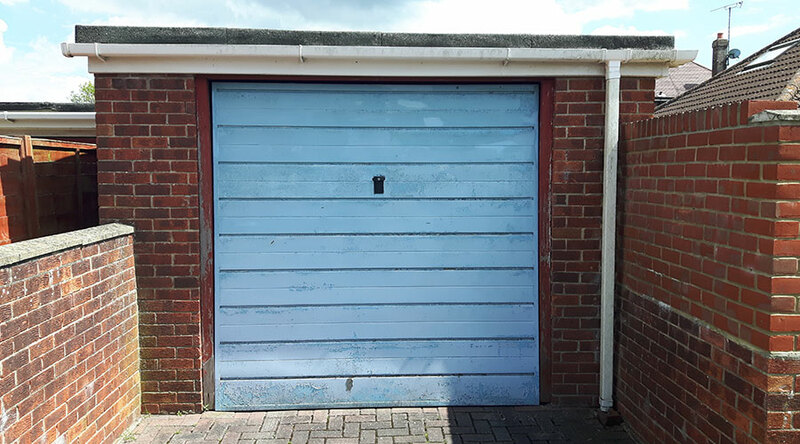 However, don’t just take our word for it, take a look at what some of our happy customers have to say below – see even more of our latest garage door installs in our gallery. Absolutely first class! All aspects of this installation could not have been better. Lawrence's approach, attention to detail and desire to do a top class job was demonstrated. The low price was very competitive and reflected the lack of showroom etc overheads. From start to finish Lawrence was excellent! I called in desperate need as our up & over door had broken. Lawrence called round within a couple of hours on his way home from another job and said he would do his best to get me into the Garage free of charge, which 30 minutes later he did. We then discussed a new door. The timing couldn't have been any better as Lawrence had an order despatching the next day and said if we did it now he could get mine on the order. He also matched the colour of our front door so they were as close as possible. The workaholic that he is meant that he had the following Sunday available to fit it, all done in a week! How fast is that!!! The door is great, the finish and positioning were perfect and everything went as planned. A couple of neighbours also have new garage doors now! 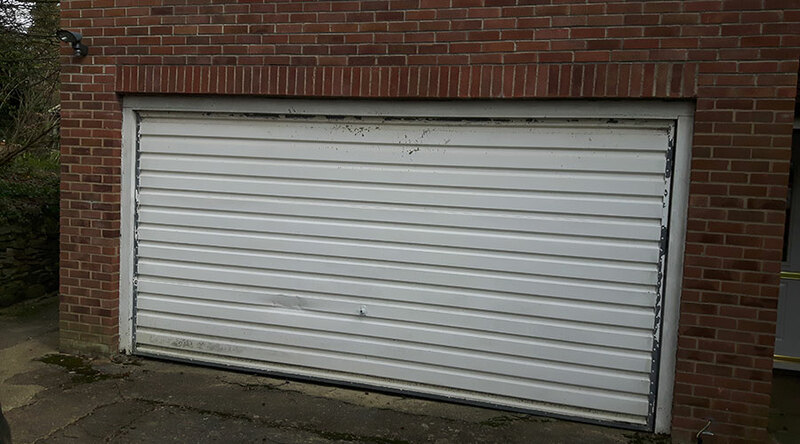 5 Star Service by Pride Garage Doors Ltd Highly Recommended! From the off I could tell Lawrence was very knowledgeable and passionate about garage doors. Great advice, price, installation & follow up. Highly recommended. Lawrence installed a new garage door for me in September 2017. His communication before he did the job was excellent, briefing me on the specification of the door and how it would operate and appear. He did an excellent job and the door has worked faultlessly since it was installed. I would thoroughly recommend Lawrence as a garage door installer. Another quality installation. Very quick from order to install 9 days. Customer found her old heavy door very difficult to open and close as she has arthritis in her spine and she does use the garage for her car. Her comments, the extra width (about 4 inches) will make it easier to get in and out, the threat of the old door blowing down on her or the car was also a concern. 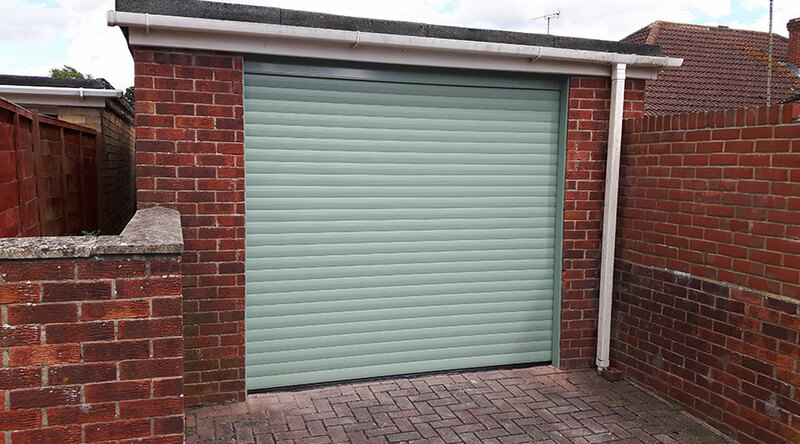 The insistence that the door colour had to be Chartwell Green to match her front door and could be at no additional charge was also a pleasant surprise. She was also very pleased that the guide rails and UPVC work was also matched. She had to walk from her front door around the house to the back of the house, about 30 yards because the old door wouldn't unlock from inside the garage. 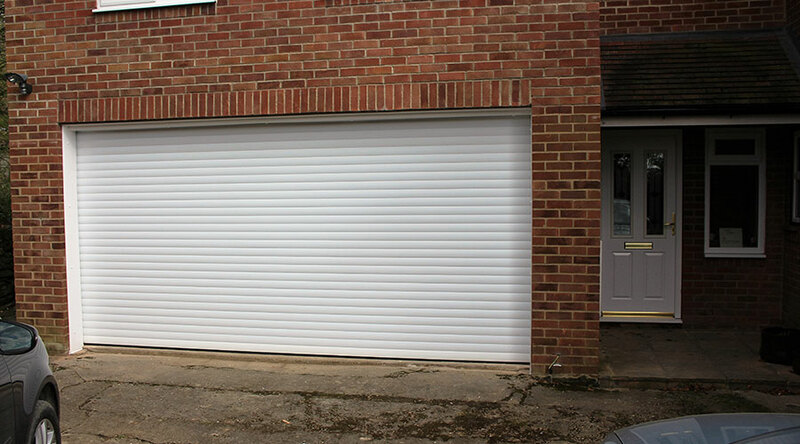 Lots of reasons to be happy with a remote control roll up garage door. This door has an integral alarm, 4 X patented locks a Somfy control system with rolling code technology, double walled slats with hard foam insulation. (A VERY GOOD DOOR) and for well under half the price that national companies charge. And with a comprehensive 5 year warranty. There were lots of reasons why this lady wanted a new garage door, it was very heavy even for us to open, but when she looked at the transformation for the first time she said that’s just added £1000s to the value of my home - certainly a lot more then she paid for it, and our quote was less than half of the nearest quote! Absolutely loves it, over the moon!